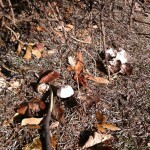 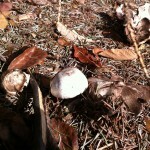 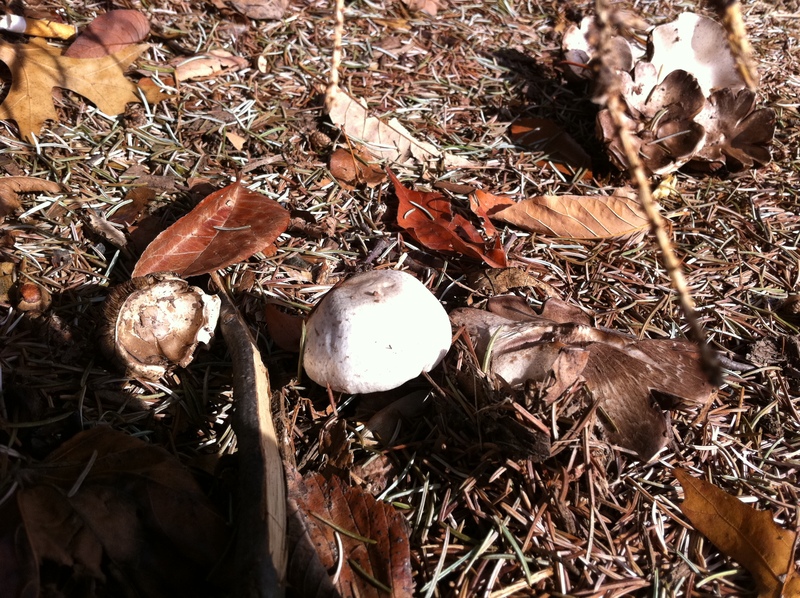 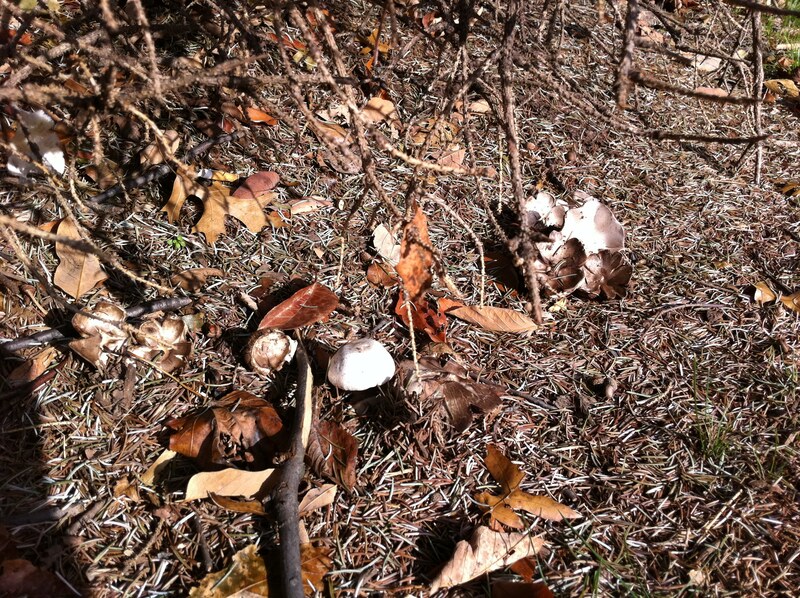 #01 Agaricus sp. 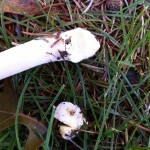 – A. xanthodermus? 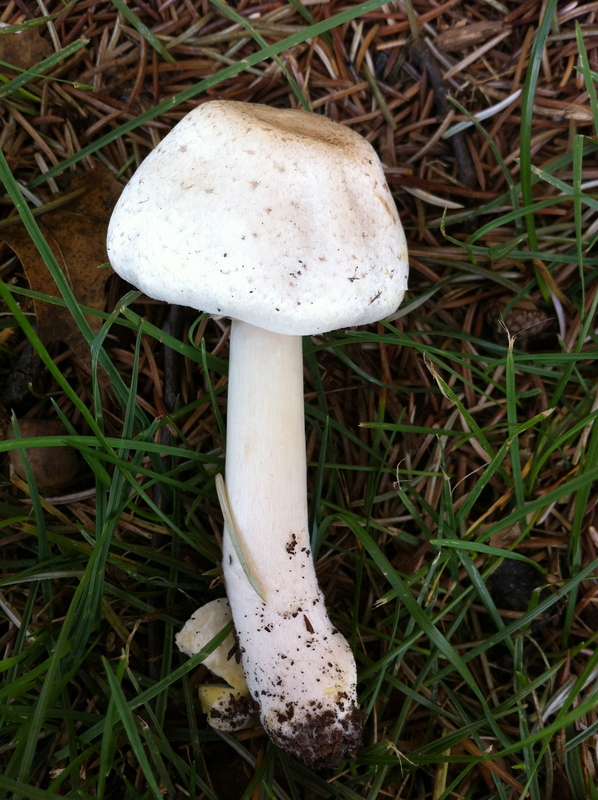 Looks like an Agaricus xanthodermus with its cap and yellow-staining base, but the odd thing is that it’s well-established (as you can see) under a blue spruce. 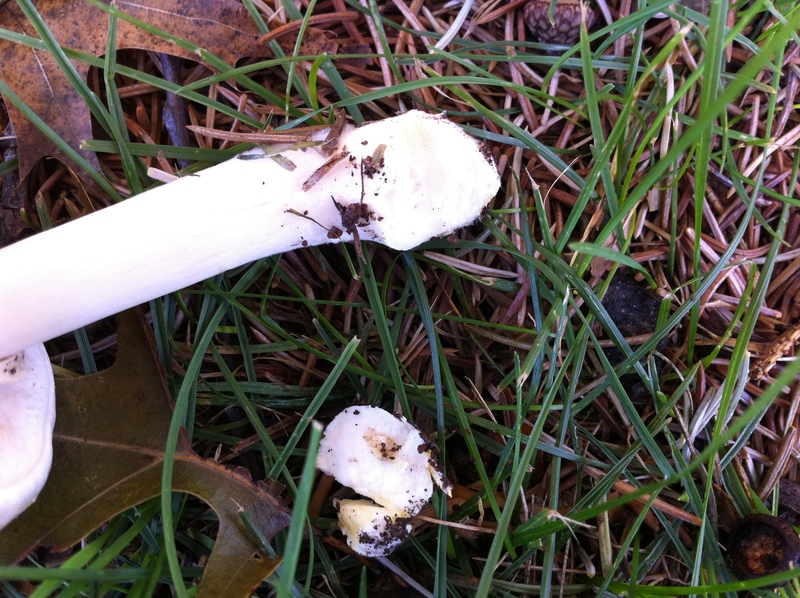 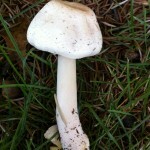 Sadly I did not collect a sample to get a spore print or check under the microscope.